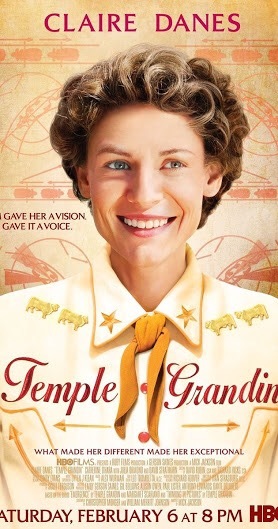 So, I watched the movie “Temple Grandin” yesterday—what an amazing lady she is. I cried numerous times as it resonated with my experience of growing up with Aspergers traits. Why do we not ‘get’ other people’s rolled eyes and disinterest. I mean I get it, they’re not interested but why are they so mean about it? In the section in the film where she’s at a dinner party and telling some people about her research, to me it comes across as the listeners are ignorant and only want to stick to small talk that they are comfortable with, rather than taking an interest in Temple’s research and actually learning something new. It’s not her that’s the problem, it’s their lack of polite social skills. Where the normal communication channels are limited, communication success is particularly dependent on the receiving partner’s sensitivity and skill (Brown et al. 1998). Communication outcomes are influenced by the partner’s ability to identify communication opportunities, restrict anticipation of needs and wants, and recognise the contextual frame (Butterfield, Arthur & Sigafoos 1995:102). In addition, ‘significant barriers to communication are present if the partner does not value communication attempts’ (von Techner & Jensen 1999:459). Therefore, the importance of assessing the communication partners’ ability cannot be overstated (Butterfield, Arthur & Sigafoos 1995; Siegel-Causey & Bashinki 1997). So, to me, that speaks volumes. I have often been given the cold shoulder for being passionate about something and left to feel like it was always my fault. Often, it has sent me off in an incorrect tangent because other people’s reactions left me full of self-doubt and insecurity. But, I am learning to pull myself together and give less out to others; I think I’ll progress on my path much more consistently and quickly in the process. So for the last 10 days I was meant to be on a silent meditation retreat. I booked-in months in advance (as you have to with this free Vispassana retreat), however, I wasn’t quite in the right mindset as the time to go approached. I went anyway, as my time off from parenting was all organised and I wanted to check it out. It was meant to finish this morning, but I have had an interesting time sorting other things instead. I lasted two nights, one full day and two half days. There were two main things preventing me from committing to it. Uni, for which Orientation starts this Tuesday, had me down as studying secondary school teaching. Through my Aspie diagnosis and my own gut feeling I realised that wasn’t the right path for me. So instead I’d applied for Psychology, journalism, animal ecology and a Bachelor of Arts (so that I have lots of options). I was under the impression that if I applied for all these preferences at the same time, and I met the entry requirements, I would get offers for all of them and could take my pick. The next offers round happened to be the second day of my meditation course. As I checked in to my course they asked us all to give up our wallets, phones, car keys, any writing materials and any books. As an Aspie I generally can’t lie so this was hard but I had prepared myself for this moment. I gave up my keys and wallet, they said “No phone?”… I (smiling) said “no I didn’t bring it”. The lady looked half impressed, half distrusting. But I knew that they wouldn’t see my side if I told them the truth. So after an initial few hours of being able to talk to the other meditators we all headed into silence for the first 8pm meditation sesssions. Jees it was noisy! I kid you not… they played a tape recording of this guy doing untuneful singing/chanting for a while… then he started to describe a very basic technique of watching the breath coming into and out of the nostrils, then emphasising to follow the rules and attend all meditations and meditate diligently in our own rooms when we weren’t in the meditation hall three times a day. Each of his instructions were followed by a Chinese translation, as the only 10 day course that fitted into my potential uni term times was a bilingual one. It was such an assault to my eardrums that night that the next morning I asked for ear plugs to dull the noise down. The next day wasn’t quite so bad, it was less instruction and more silence on the tape recording. However, when I had tried to go online to accept an offer for Journalism which I was most keen on at this point, I was shocked to only have been offered a place in Psychology. I then realised that they only give an offer to your top preference. I’d been so hectically getting ready for the retreat that I hadn’t made journalism my top preference, plus I didn’t think it mattered. Makes sense in hindsight. But what was I to do now? My phone battery was extremely low, the phone reception was pants and I was unable to get the process done of changing my preferences on my phone. I told the manager that I was finding it hard to relax as I needed to sort something very important out on the internet. She told me I couldn’t go on the internet and how come I hadn’t sorted all of my affairs before I came in? I knew she was right it was just bad timing! I was also starting to overthink the situation with my daughter’s father who had been very difficult before I came to the retreat. He had refused to meet me half way between our houses to pick up his daughter. He insisted I drive the half hour to his house and the half hour home to bring her to him. I said it’s half way or I keep her so of course I ended up keeping her for an extra night and the morning before my retreat. He is very stubborn, I was very passive during our relationship and he is struggling a bit more now to bully me with my slowly increasing new-found sense of strength. But alas it was all playing on my mind on the retreat. If he could be so stubborn that he misses a night with his daughter then is he going to be the same when it comes deciding what school to send her to and therefore what daycare I send her to when I start uni in the coming few weeks? Needless to say it was pretty hard to relax and meditate on the breath coming into and out of the tips of my nose. It seemed like these issues were not going to go away unless I sorted them. So I met with the Teacher, thanked her for having me but that realistically I have too much on my mind and it’s not a good time for me to do the retreat. She kindly said “you’re still young, you can always come back”. So with that I was released back out into the world. I found I was more mindful on my exit. I was able to pick moments where I could focus on the end of my nose when I wanted to stop the thought stream. But also I could chose when I needed to get on with something and get it done. I did change my offer preferences and received an offer for Journalism in the next round, on Valentine’s Day. It was lucky timing as the government organisation JETS was also deciding on how much child care they were going to help me with so I had to provide them with the correct degree, the correct number of days at uni (my new timetable) and bring the dates forward for it to start during essential orientation week. It still ended up getting stuffed up in the end as they only only offered me one day of covered child care, starting the week after Orientation week, when I actually need a maximum of three days some weeks. But I’ve been on the phone to them so it will hopefully be sorted by this Tuesday and Wednesday when I have to be in uni orientation for the two full days. At least I’ve been onto it. I feel proud that my days of procrastination and being frozen in fear seem to be lessening. It’s so helped having he diagnosis, dozens of books on the subject, a supportive clinical psychologist and even my dad has started talking to me more via email since the diagnosis so that is lovely 🙂 maybe he can relate to the diagnosis for himself? On leaving the retreat I messaged my daughters Dad saying I do not like the conflict. I told him I could drop her to him (after my classes) on Mondays and he can drop her to me on the alternate Monday mornings. He was happy with that. He works just around the corner from my house but he was getting cheesed-off that it always seems to be him picking her up and dropping her off. But it’s not exactly out of his way in my eyes! Luckily my uni is near his place and so it’s not particularly out of my way either to go to his after class every fortnight. I also have Co-Dependents Anonymous meetings up hear his place on Monday nights that I might start attending again once I drop my daughter off with him. They say it’s a lifelong issue, like Aspergers is I guess. I also informed my ex of where I’d like to send out daughter to school and daycare (near my house and also near his work) and gave him an idea of what secondary school I have in mind as I am happy with this new area that I have moved to. It’s close to his work, it’s quieter and more family orientated. I have no intention of moving back up to the area where he has just moved into with his girlfriend. I lived around there for two years and it is so much busier than where I am now. He usually tells me off for telling him my opinions. He usually says “I don’t need to know your life, I’ve moved on”. Some typical condescending words to that effect. But this time I was relieved to receive his reply which was in agreement, so I could go ahead and book my daughter in to the local daycare, that goes on to provide after-school care next year. I love where I’m living. Yes I’m ony renting a room from a fella that I hardly know but he seems really nice. His mum invited me and my daughter around for a swim in her retirement village which was lovely. I only lived with my housemate for a week before he went overseas for 6 weeks, he’s still there now teaching surfing in the Maldives. I hope that when he returns all is honkydory. So I’ve had a lot on my plate and I’m glad that it all seems to have fallen slowly into place before uni starts. My intention was to be in a calm and serene place before uni started but that could not have happened if I had come out of my retreat today. There would still have been so much to sort. Over the past month I have gone vegetarian and over the past few days I have started to try to buy only organic and I see a big difference in how healthy I look. I think my skin glows and I look slimmer. Unfortunately I’ve been getting a sore throat when I sing and huge amounts of muscle tension in my neck and shoulders whilst I was in the middle of trying to sort everything out. And my chiro must have done too much one day as that night I developed pain down my left arm which still results in numbness and tingling in that hand. Luckily I’ve sourced a good GP, massage therapist and physiotherapist in my new local area so I’ll be visiting them when I need to too. When the physiotherapist worked on my neck it did seem to refer through to my throat so maybe the sore throat will abate through addressing musculoskeletal issues. Or it may be down to post nasal drip, a virus or reflux according to the three doctors I’ve seen about it. I think at the end of the day I have to trust myself and with their assistance figure it out for myself. It started before the meditation retreat and resting from singing doesn’t seem to have cured it. It may be all stress-related with uni starting and being nervous about going back as a single parent. And not doing my natural strength subjects in the sciences. But at least I have the knowledge that I’m aspie now and my clinical psychologist has provided uni with the diagnosis so that they can provide any suppport if I need it. So I’m feeling prepared and that’s I guess the best I can do. Let go and let god (the god of your understanding) – as they say in CoDA. I cannot believe how therapeutic writing is being. Things are coming clearer to me now I’m allowing myself to self-express. Singing has certainly helped me to stand up for myself somewhat, but I think it may be writing that helps me to shine a light on where I have been and where I have come to in my life, and possibly why. I’m reading a book called “The Wonderful World of Work – a workbook for Asperteens” by Jeanette Purkis. Work is the final big frontier for me to conquer. I haven’t had a job since 2010 and here on the Sunshine Coast competition is high for any available positions. I am very fortunate that I am on a government pension as I am a single parent but I am very aware that it reduces in four years time and that I, therefore, need to pull my finger out and work out how I can make money in this world. I thought it was only circumstances that have prevented me from working for so long, but insights are coming to me, as I read more about Aspies and their differences, that I may have a lot of fear that is preventing me from returning to the workplace. In 2009 I graduated from Vet School in the UK and wanted to come straight out to Australia as I had previously fallen in love with the place and was pretty sure I wanted to make it my home. In my final years of Vet School, I had my doubts as to whether I really wanted to be a Vet. I had found earlier years pretty straightforward with all the scientific theory of Veterinary Medicine, but the later years became a lot more practical, my marks reduced somewhat and I very much disliked attending practical sessions and practical exams. I did inform my Mum at the time, in whom I had confided everything my whole life, she advised me to finish the course and then I can do anything I want with it after that. So I dutifully did. However on graduating there was not much other option than to try to work as a Vet, so I did. After a previous volunteer placement at a horse hospital in Australia, I had been offered a position there as a short-term intern, for 6 months. However, this was not to begin until 5 months after I graduated so I wrote to a centre in the Cook Islands, where a classmate had previously volunteered. They accepted me and I flew there after graduating. I don’t want this to sound all doom and gloom and like I am a victim but I do think I had a bad run of luck, well and a large contributing factor was me of course and an unawareness of my condition. In the Cook Islands, there was a couple of other newly graduated vets, one a pretty blonde, took a dislike to me and seemed to want to make my life quite hard. The friend she had with her from Uni was lovely but was made to be her side-kick and so the blonde was empowered in her mean ways. I felt that I was not much good as a Vet at this point, I did have one wonderful case of a dog coming in unable to walk and through steroids and hydrotherapy in the sea it was able to walk again. I had a tear in my eye as the owners (all twelve of them approximately) came to collect the well-loved dog in their Ute. Of course, the blonde tried to steal the show with this, and with a TV crew that had been out filming us at the time. I just slipped into the shadows again, relieved to not be too much of a target for her unkind ways. After the Cook Islands, I headed to the horse hospital in Australia. Here, unfortunately, as well, it was not a happy time. Me being me I fell for one of the other interns, however, one of the senior Vets, again a pretty blonde who had taken a dislike to me, had also fallen for him so she enjoyed trying to make my life difficult. In the end, I was let go three months early for not having my tasks done on night duty one night. This particular night there was a party for the Vets and interns and I had been rostered on to work funnily enough! The male intern I liked had already made his pass at me and been successful and, of course, I had fallen for him even more because of this. But when I went up to the party on my breaks the female senior Vet was obviously all over him and so my mind was so full and confused when I had to go back to my duties. At one stage I had to go up to the party to ask him to come help me try to finish the duties as I couldn’t focus, my mind was all a mess by what was going on. To his credit he did come help me, but then an emergency came in and we got into big trouble for all the checks not being done. There was a meeting with my bosses the next day and I didn’t blame him, or her, or tell the truth, I can’t remember what I said but I was relieved to get out of that place. He wasn’t the only issue there, there was a lot of male chauvinistic attitude and very few female interns. One of the other females, a lovely girl with a heart of gold, was the target of bullying and criticism when I first arrived and for my first month or so, but when she left I became that. I had also reconnected with an abusive ex-partner in the UK via the internet and since he said he missed me, I wanted to return to see him and rekindle our ‘love’ in time for Christmas and New Year, so I was happy to leave the hospital for that too. I wasn’t happy to leave Melbourne. An old Uni friend (I was at Melbourne Uni for 2 years before I did the five-year Vet degree in the UK) had lent me his Volkswagen 1972 beetle for the duration of my internship. I had so loved driving around the small town where my Vet internship had been and driving to and from Melbourne to see friends. I loved that car and Melbourne. But my heart was calling me back to the UK for some unfinished business. I returned to the UK to visit him for New Years. I returned to the UK to visit my ex for New Years, we had been talking all throughout my time in the Cook Islands and my equine internship. However, on arriving in the UK, so looking forward to familiarity, he informed that his sister didn;t want me at her New Years Eve party that he was going to, as we caused too much drama when we were together. So that did it for me, I finally got it. His drugs, parties and music in the band would always come above me. In fact, i didn’t even care about that, I could finally see that I cared about Australia more than anything in the world. So after travelling 10,000 miles from the other side of the world to spend New Years Eve with him, and being cold-shouldered at the last minute, and being mindful of how much I gave up to be there, and how happy I had been to be pottering around Melbourne in my mates VW bug, it finally hit me, the message finally got through, that this abusive guy that I had been smitten with for the previous 5 years, was actually no good for me. Australia was where my heart was, and I would get back there. It was a wonderful wake-up call. That I really needed to sever all ties with him. I was really lucky that life gave me that opportunity to feel so profoundly and for it to finally be so obvious to me. So after working in a bar/cafe for a few months, I got offered another Vet job in Townsville, in far north Queensland and once the visas were sorted I flew back out again. This was a job with small animals and I remember looking out of the practice window wishing to be outside and not really enjoying the job itself. Unfortunately, my mentor has taken quite a quick dislike to me too, funnily enough again another pretty blonde! I guess it is my Aspergers traits that cause these reactions in people. I am unaware of how I rub them up the wrong way, but I certainly feel the consequences. The first time I met my mentor I learnt that she had been at Melbourne Vet School the year below me. I asked her if she knew Downsy and Rob, Rob has been my partner for a year and Downsy was his best mate. She said yes she was dating Downsy. “Ah, he was so funny!” I remarked. “He was a knob!” she said disapprovingly and that was the end of that. I don’t know if it was that connection about me that stirred her or just everything, but she wasn’t much of a mentor. When I went to her with a question, she would say “you can go look that up yourself, don’t you do any reading at night?”. I was hurt and shamed each time this happened but in my head, I knew I was doing my best trying to fit into Townsville, find a place to live and have a healthy work-life balance. There was another more senior Vet who was the mentor to another young Vet, she was lovely and I started to go to her for questions instead. As an Aspie I know I learn really slowly and I like to listen to people to learn, that’s how I ‘get’ things. And once I get things, I really get them! I asked the practice manager if I could swap mentors as my original arrangement was not going well. My manager said sorry but that wasn’t possible as there was no one else available. One morning I was driving my scooter to work, on the way to a staff meeting (that I was dreading), I was hit by a car turning slowly in front of me. I put my leg down to hold up my scooter but it was too heavy and fell on me and snapped my ACL ligament. As I was lying on the ground I looked up to the sky and thanked God or whatever it is that had put a stop to my life the way it was. The ambulance took me away and the doctors told me I’d need a surgery, I was even more elated at this news as I could stay away from that workplace for even longer. I guess, looking back, I didn’t know how to stand up for myself and make things the way I wanted them without divine intervention. The first surgeon screwed up my knee so I had to fight against ‘work cover’ to get it re-operated on another two times. I was very fortunate that work cover covered accidents on the way to work at that time. Quite soon after my case, they changed the rules to no longer do that. I was very lucky. I was not lucky in so many other ways, with the people I had come across on my work journey, and that the first surgeon screwed things up (he put the ligament in not quite the right angle and then augmented it with polyester since it wasn’t doing a great job of providing the stability, then my knee reacted to the polyester so I was limping far worse post-surgery then pre-, and I had to use a cane). So that mess had to be removed. Luckily I found a very friendly, kind and sensitive senior surgeon who had just come out of retirement and was able to do the surgery. Many other surgeons that I had consulted said that they had never removed a polyester graft and therefore couldn’t do it. But I was persistent and finally found my surgeon and he did a great job. Of course, now it gets hot and sore and it’ll never be the same again but at least I wasn’t left with the first surgeon’s attempt, I’d probably still be walking on a cane now if I was, or worse! After being made redundant from that vet job, since I was still unable to return to full duties after one year, I didn’t go back to Veterinary work again. I guess with my three attempts at it, I didn’t have much joy. I can start to understand my reluctance to go back into it now as I think back over the details of my experiences. If only I had found a mentor sensitive to my condition – in fact if only I’d known about my condition back then! – then maybe, just maybe – I could have found a way to make that career work. I certainly enjoyed surgery and found I was very neat with that, I suppose that could be a strength of Aspergers – an eye for detail and precision. But I don’t know if its worth the stress of trying to get to be a surgeon. I cannot do Veterinary Medicine as there is too much to think about, too much unknown, too much mystery. Whereas surgery is better for me as it has strict instructions and protocols and I can stick to those. Unless I get a bleeding vessel or the anaesthetic starts to play up or something, then I might panic and not even know the correct thing to do either. I think that I am not good under stress or panic, or under the watchful gaze of others. I like a calm, quiet environment, and I suppose that Veterinary is unlikely to be that. I remember finding the smells of urine, faeces, vomit, disinfectants and even general dog smell to be offensive too. So many inputs, such a busy environment, lots of people with other vets, vet nurses and clients, it didn’t feel like a safe environment for me to work in, and probably never will be. I have been contemplating going back or trying to go back so many times over the years. Maybe I have to bite the bullet and try as a volunteer at a few local vets just to make sure. Perhaps while I study journalism, photography and music over the next four years. I guess it only takes one Vet, who is nice and sensitive and open to supporting my Aspie diagnosis and then I could perhaps slowly get back into it. Of course, I can’t expect to be babysat, I am very aware of that, and I don’t want to get in the way, as they have their own work to do and money to earn, but I think I would need a very patient and tolerant mentor. Perhaps someone who is interested in having a surgery specialist, if they don’t already have one. So we’ll see. I will keep grappling with the idea and perhaps put my feelers out locally. So, I guess this is typical Aspie. Two days ago I was convinced that a Bachelor of Psychology was the way to go… two days of life, people’s comments, infiltrating memories and more research… and I now think the Bachelor of Journalism is DEFINITELY the way to go Haha!… with a minor in Digial Photography Practice. Maybe I should leave out the definitely (going on years of previous experience). There’s so much choice in the world, it’s endless! And I have so many interests. But which of them will actually fit my personality type, my aversion to conforming and refusing to be controlled. Someone pointed out to me yesterday that Teaching is not going to suit my hippy ways, I just wouldn’t want to fit in, he said. That is the course I am currently enrolled in. It always pleasantly surprises me that other people can often see more than we can, especially about ourselves. Hence why I love getting other people’s opinions (as long as they don’t have their own agenda about which way they want to push me). It has always been a problem for me that I haven’t ‘seen’ warning signs about some people. I haven’t noticed that they are controlling or manipulating me to suit their own needs. Maybe this is Aspergian too, I am very trusting and tend to see the good in people, rather than focusing on any obvious character floors. It has been to my detriment numerous times. Maybe we never finish waking up? Not in this life anyway. Or if we do finish and become ‘enlightened’ we are perhaps a Buddhist monk who doesn’t come back into this wheel of suffering for another life. But for the rest of us ordinary citizens, we’ll be on the journey of waking-up or enlightening, for our whole lives… If we want to be of course. Rito, I’m going to hop on my bike to check out the local farmers markets. I spent Friday, like most other days, pondering what to be, and what to do with my life. 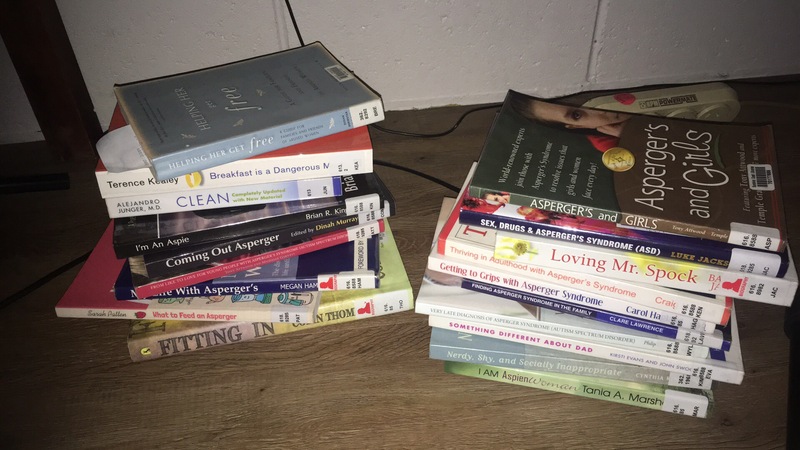 I have been given an offer to study Education to teach in schools, but especially since my diagnosis (again – I will go into that in my next blog post) I have been thinking that’s not a great environment for me, with so much going on. So much social stimulation, noise and so many uncentred people. I had to go to Uni to ask them for a form to send off to the government for benefits as a student now, in addition to being a single parent. Whilst there I mentioned my plan to study one teaching subject and two writing subjects. The lady looked concerned and referred me to someone else. This someone else was so lovely, I think her name was Trisha or Trina, I should write these things down! Anyway, she was so present for me and listened to my story. It was like a breath of fresh air as she came in with no agenda but to listen. She honestly asked me to consider why I’d spend my time doing a course that might help with writing, or getting published, but the actual thought of the job stresses me out. She also mentioned that there are two full-time 6-week placements for the teaching degree. When I considered that torture, and the fact that she’d said: “have you considered that we have creative writing courses so you could study what you actually want to do”. I mulled on that “yes, I don’t know why I often take the roundabout route rather than do exactly what I want to. She validated me; “don’t worry we all do that!” Trisha/Trina then fetched another lady to show me how to book in with a careers counsellor, for next week. I think all that ‘being really actually seen’ by a PRESENT individual got my brain cogs turning in a healthy way. I’m listening to Eckhart Tolle in the car; “The Art of Presence”. He had responded to an audience question regarding therapists, that they could do much good by just being present for a client. He specifically mentioned Rogerian therapy (which centres on listening only) as an effective therapy as it is so present with what is. He says some clients cannot handle it as they don’t think they are getting anything back from the therapist. They leave, complain about the therapist and don’t come back. But that appeals to me. To be different, something outside of this “insane” world as he calls it. I could finally see an opening to the right path perhaps towards writing instead of teaching. I had tried to break out when talking to a university careers counsellor, but she had said it’s up to me but she would consider that having the teaching degree done and behind me would mean I could get a job in two years. so that set me back a bit from breaking out of teaching. like the lobsters caught in a pot, if any of them try to break out another lobster tries to pull them back in. It wasn’t just her comments that made me freeze in teaching but also the fact that its such a short course, and its the last time they are offering it ever. if it wasn’t for that fact I possibly wouldn’t have applied to uni at all this year since my daughter has one more year left before school starts. I feel lucky to have been offered a place in it, it was hard to get all the documents together for a place in it. So I felt it was so hard-earned. I’d also shared with a few teachers who are friends and family members that I was going o study it and join them, so I had put undue pressure on myself to stick to that decision. In effect, I had shared too much rather than just asking myself what I wanted. I went on to a computer and it was clearly going very slowly. I thought “Ah great! What is this about? Why can’t it be easy? I guess it’s for a reason, I reluctantly decided to stay present and watch it unfold. The older man walked past me and I looked at him smiling, wanting to validate him. I said thanks for all your help, he said “sorry for the mistake, but I’m learning”. I agreed “Exactly, it’s all about learning”. Anyway, I went through the process of loading my document but when I tried to make it print, it froze and turned the document into a pdf. After looking at the instructions on the printer, it said ‘select correct printer’, I realised that I had been selecting to’ convert to pdf’, but the printer suggested to send it to was not available on the list. At this point, I approached the desk again. Now there were four women milling around at the desk, and the man. They all looked evasive, and fearful of me, especially the first one that had come out. she avoided my eye contact and continued with a paper she was attending to on the desk. Since the man seemed the most approachable still out of all of them, I told him my findings with the printer. But he had shut down. Another lady asked what was wrong, he relayed “This girl is still having problems”. He, slightly meanly, said “It’s quite basic, you just select the printer, the black and white one, and click print”, trying to ignore the fact I’d become enemy number one to the team “Yes I’ve tried that”. Knowing that I had done nothing wrong I stayed present. I expected the man to come along with me and show me. but he showed no sign on moving or helping. I said, “The printer isn’t there on the list”. Then one of the four, appearing as the most senior, pointed out “Yes do you not remember? I sent a document around about this, did you see it?” She went on: “The IT staff have put in some new computers and those units haven’t been recognising the printer” she continued “Try to reboot it or try another computer”. I guess I was slightly exhausted by staying present for this whole interaction and so a swear word came out, which they all seemed slightly taken aback by. “Yes that computer’s crap, it’s been going really slowly. I’ll try another” I thanked them and walked away, surprised by what I had just witnessed. On the new computer all worked completely fine. I followed the printer’s instructions and it worked well to use my credit (I still had a dollar instead of 50c but I’m sure that’ll get worked out in time). It all got me thinking, though. No one there was aware of what was going on, yet, I was. Does this not mean I could help people to wake up? Help to advocate for bullied, lovely, gentle people like the older man who later himself turned into the same track of bullying as them? Could I not help to turn some situations around to have less negative energy and more of the pure present energy, without blame and shame? Can I not turn things around by being respected enough to stop this kind of behaviour, rather than just the difficult girl with all the ‘problems’. I think the only way ill be respected for my voice and input is if I study psychology and become a psychologist. I know a lot of mental health workers have their own problems and doubters, or the jealous types, love to point that out. But how much more knowledge would I have of the subject if I actually studied it? And if I can stay present too, like the Rogerian therapists, how useful could I be to the world? Is that not my purpose? Is that not why I swapped from a Diploma in Travel and Tourism to a Diploma of Community Services? Is that not why whilst being bullied in the Diploma of Community Services that I decided to study Psychology after? Is that not why, on leaving school, I got disappointed that they were going to start teaching psychology the year after The whole instance had brought me full circle back to where I have been so many times before. I attempted a Graduate Diploma of Psychology three times last year, each time it felt too much to concentrate on, alongside my pre-school daughter, so I kept pulling out of the course before census date. The withdrawals were accompanied by a lot of relief and the belief that maybe psychology isn’t for me. Do I want to listen to people whine and moan all day? But today’s library incident made me realise I want to advocate for Aspies. If that’s what I am then I want to advocate for people like me. The people who see things differently. Maybe I don’t see the truth, but I think I see through to some psychological and emotional abuse of other people. If I can see this and learn ways to turn it around or help people affected by it, then I am going to feel passionate and alive carrying out that task. The money would be a bonus to that. At the end of the day, it would be living and expressing my truth through various means – writing would be one of those means. I hit my high – a high in presence. I had gotten to the truth of myself by staying present. I didn’t have to lie in bed and think it through. It just came at me through life. I do want to help people. I do want to express what I see. One of the books I have read since my diagnosis talks about aspies being present. Listening to Eckhart Tolle confirms to me that I am often already in the present, I get lost in it and forget to do some things that I am ‘meant’ to do to fit into the ‘real/dream’ world. Since my yoga teacher training, I have realised that yes I have thoughts but I can choose to have them and not have them. I direct my thoughts to things that I want to consider. For instance, I now had to consider how to change over to the psychology course, I had to fit my presence into this ‘reality’ as Eckhart calls it to plan my presence into this dream-like reality that we call working to live and studying to work. This dream that we call reality can often get in the way of reality. For instance the women around the man, they were in a dream of habitual bullying and shame, he was in presence, in reality, and the situation did not need to be made from a molehill into a mountain. It was an easy fix and he certainly didn’t need to be destroyed by shame in the process – removed from his still presence into their disturbed dream. So here my awakening journey is taking steps towards where it feels it wants it to go, and I’m going to try to get out of its way. When I tried to study psychology last year, I don’t think the online component worked for me. I like to be so present in listening to a lecturer or tutor and then I take it all in. It stays there in my brain if I really listen the first time. That’s how biology at school and vet went anyway, even though I hated studying Vet after the second year. So although it’s going to take me two years more than the online graduate diploma, I would like to study it face to face. So I’ll have to start from the beginning with a Bachelors, but I think this will suit my style of liking to learn slowly anyway. I can also make use of some electives to study journalism or creative writing. I thought about having my second major as journalism so I can perhaps get paid for any freelance journalism I come across too. I’d love to make movies on Aspies and situations of bullying at school or in the workplace. I haven’t been physically bullied, I was shamed and humiliated once in front of a group of girls at school because I was copying one, and that was it, I sunk into the shadows after that and stayed away from anyone who had the potential to be mean, including some classmates in the Diploma of Community Services. Some mean ones hid well though too, though, and I still fell into their traps, (most men I’ve been in relationships with – perhaps more about that in another blog post). On Wednesday I thought of writing a blog again for the first time in a while because something funny happened, it made me realise that this time I can see my diagnosis and work with it. So what happened is I was pottering around at home, in the back of my mind was this free gym trial I am on, and how I fancied checking out “moves with Di” at 7 am. As the time got closer I popped my boat shoes on and headed off to the gym. I am so used to going around barefoot, or to yoga in bare feet that it only crossed my mind once to wear trainers/running shoes, clearly the thought didn’t hang around for long because next thing I knew I’d thrown off my boat shoes and was being introduced to Di of “basic moves” fame in my bare feet. At this point, I was thinking I’d walked from my car in bare feet and I’d completely forgotten I had any shoes at all (such was the overstimulation of the gym environment and a new class on my first day. Di and her tribe of elderly followers had been setting up stepping, skipping and weights stations for a circuit around the room and it had still not crossed my mind I’d need shoes. She said quite bruskly “ah you can’t do the class without shoes”… to which I looked at my feet, realising for the first time that my hippyness was not welcome here, I smiled and (quite relieved) left Di and her grey army to it. I went back to my towel and drink bottle by the windows and surprised saw my boat shoes and popped them on. I went out to the front desk where the really friendly trainer who welcomes people in, asked me where I was going. I told him what had happened, he asked to see my shoes, I lifted my leg up to show him over the desk (almost putting my back out in the process) and that’s when it dawned on me that i perhaps could do Di’s class in these shoes because it’s not like the grey army would be going too hard-core! Whilst I was contemplating this, the gym trainer kindly offered me his thongs (flip flops) instead of my boat shoes. In my haze of considerations, I thought he was serious and propositioned that my boat shoes would be better than his thongs. Luckily he must have heart of gold and didn’t outright laugh at me, instead, him and his female counterpart who had appeared behind the desk too, looked at each other, then me, quite compassionately. So I had a great workout and had time to settle into the gym and all that was going on around me. As I worked on my legs I went over what had happened with the thong comment and laughed to myself that I hadn’t seen his joke, I had only thought he was being really lovely. It’s amazing to consider how many situations I may have been in where because I was under overstimulation-stress, I hadn’t seen reality or another person’s reality. Luckily this man was kind, I guess in a school situation or a bullying office, that would have been a great opportunity for people to laugh at my expense. As I joined up I did apologise for not getting his joke about the thongs, I was tempted to tell him I was an Aspie, but instead I said I tend to take a lot of things literally (perhaps this is only when under internal or external stress, though, I will have to observe that in myself). So I nearly started a blog a few years ago, then a few months ago, then Wednesday… and now… perhaps this one will remain… unlike my Tumblr one, that I’m attempting to delete through contacting Yahoo as I write! Anyway, I guess my point is, I’m indecisive, a little anxious – especially around new stuff, and honest about it. Maybe that sums up a large part of my Aspergers? A friend suggested this platform for a blog and so that makes me feel a little more comforted writing here. I guess I am scared of Big brother watching everything I do or hacking into my things. I got hacked into my Yahoo account, my Hotmail and my Facebook account, twice, last year. I’m not quite sure what they would be after as I’m on a government pension so I’m far from rolling in money that they could steal. So that’s why I get anxious that maybe it’s my information they are after, or just to spy on me. Anyway, let’s not go too far down that path, otherwise, this blog will not get off the ground… and I so want it to. I am usually a slow learner, a slow starter… perhaps another word for it is a Procrastinator. I want to start a blog for several reasons: a) because I would like to be a writer and blogging would be great practice for that, as well as exposure to potential followers; b) because I would like to share my thoughts with an invisible, non-opinionated platform rather than friends and family because the feedback from them, when I share, often sends me into a tailspin in the wrong direction! So I want to keep all of my ideas and energy inside for a change – well inside in as far as just on a page and not into someone else’s mind-mouth circuit! c) I think sharing my experience could help other Aspergians to be proud of their diagnosis, and perhaps look a little more deeply into what Aspergers really is.